I’ve been craving a lamb wrap all month and when I saw Target had lamb on sale for $6.99 I knew God loved me. 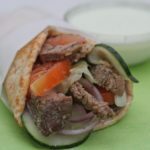 Greek lamb wraps (gyros, pitas, whatever you prefer to call them) are so easy to make and are great for picnics or lunches when you wanna take something different. Serve with cajun baked fries or homemade potato chips!!! Here is the cucumber sauce recipe I listed a few years ago. Use greek yogurt instead of plain. Watch me make these easy greek lamb wraps from start to finish! These greek lamb wraps recipe are super easy to make. 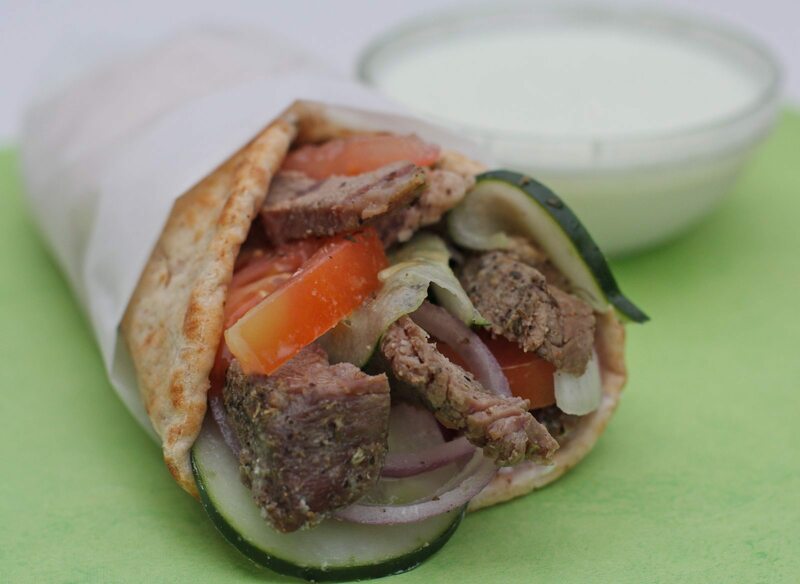 Seasoned lamb, cucumber, red, onions and cucumber sauce tucked into chewy flat bread makes one great wrap! Wrap the lamb tightly in Saran wrap. Let lamb cool before slicing. Spread cucumber sauce onto flatbread. Top with tomatoes, onions, and cucumbers. Serve with additional cucumber sauce for dipping. TIPS: Let the lamb sit overnight for best results. Throw in some feta cheese for extra jazz! Don't be afraid to go heavy on the seasonings! I was able to find Greek yogurt sauce at Smith’s. Although I do have the recipe, I think that the homemade version would taste better than store brand, unless if you’re hungry, and extremely impatient. Lol. Gyro (Ji-row; Ghee-row, rhyhms with key) is the correct name; and it sounds a little more appealing. Saying “lamb” wraps may turn some appetities off, and they wouldn’t enjoy my favorite wrap. Actually the term gyro refers to the way that the meat is cooked (on a vertical rotisserie). Since this meat is not cooked that way, it is not a gyro. Also, if the name lamb wrap turns your appetite off, I would think that you wouldn’t be eating lamb at all.. It is what it is no matter what you call it lol. Where can you find cucumber sauce?